I was a big fan of Pokemon Adventures (as I was first introduced to it) when it first got published in English a bunch of years ago, and went totally sad face when I lost my volume 2 and found that it had been discontinued since. I had to scour the net to discover that it had been running still in Singapore. Anyway, I was able to catch a shortlived french publication that almost finished Yellow's saga. I'm also doing some fan concept work for the Halo Forerunner saga written by Greg Bear. I'm going to be messing around with dramatic narration playing in front of some of that artwork on a chapter-basis- you can listen to a Prologue voice test (unfortunately without the accompanying artwork yet - I'll put it up as soon as I can finish a watercolour portrait I'm working on). The tinny voice effect is because it's coming from A.Is and audio logs. So all this is around my Science studies... yeah, more to take on than I envisioned, but it's not nearly as tough as when I was in Illustration- while Science students were going out on Friday nights, we were drowning in projects between 5 hours of sleep and no free time, ever. So since I have enough art projects on my hands, I thought I'd lend my voice instead. With my other ambitions, I haven't ever really gone anywhere with voice acting even though it was something I had thought about back in my teens. I used to be versatile as hell in the day, as I had more time to read comic books and such... but I still have range. I can see that the production has been moving slowly out of the holiday season, so I don't think I should worry about you guys being on my back for 100+lines 5 episodes ahead. I don't want to predict when I'll put a voice audition out, because those are usually wrong with the work I have, but I do intend to audition for Professor Oak, Poliwhirl, and all the other Pokemon on the list (I mean, I might as well as it doesn't look like anyone else is), as well as demo my voices for Koga and Giovanni. 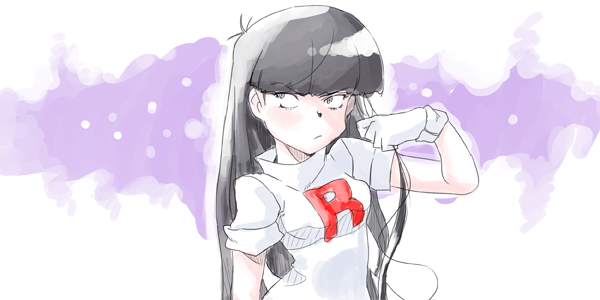 I'll probably mess around with other, non-Pokemon impressions as well. So, there it is; what I'm about as far as you guys could be concerned here. D3ath Angel wrote: Hi, I love pokéspe. I do loads of arty stuff in my spare time already so I'm only planning to help out in VAing. Hi there and welcome! Have fun auditioning and all. Oh, and if you put the URLs for the links in your post I can linkify them for you. Ah; same problem as before. I can't enter an URL. That must be a new thing...I remember I posted a link on my first post a couple of minutes after I registered in this forum. Oh well. Anyway, welcome. Although I would've preferred more help in the art area, good luck on your VA auditions. Don't feel like you can't be audition for two different areas, I know that both teams are looking for talented people and, if you've got the skillz, go for it. I think the link thing was more as a rule to prevent against people/spambots trying to come and solely promote their own projects or sketchy websites, rather than contributing to the team. I think this is a completely different circumstance, so if you want to post your links, feel free! I can't wait to hear your auditions and if you have any questions, just ask! Thanks for the welcome. The link thing is coded into the forum; so I physically can't post a link until a full week. I registered a few days ago, so I'll just update this post in a few more. Huh...I've never noticed that before. Well, I can't wait to see them, anyway! So you're making an anime based on the comic that was based on the anime? Interesting. Yes; the anime was originally supposed to be 2 seasons long before Gainax went derp with their budget, so some things (like a couple sweet character arcs and more up-front information about the plot) never had time to make it in. The manga, being cheaper to produce than the anime has more of such content, so I chose some parts of it to do. But it's such a long process, that I think it's going to stay a hobby/pet project for a long time with my studies and portfolio to work on. Wow, I definitely just had the chance to listen to this. You have a really great range! Did you use a lot of voice manipulators? I would love to hear an audition for the VA team! Wow! That's absolutely fantastic! Like I said before, you have a fantastic range! Good luck on your tests and I eagerly await your auditions! Oh and, I'm Ezu~ nice to meet you~!